Accessorize AND celebrate at the same time with Linnie Blooms! Looking for a great way to make a spring statement? Looking for a great fashion accessory? Look no further because Linnie Blooms has you covered! 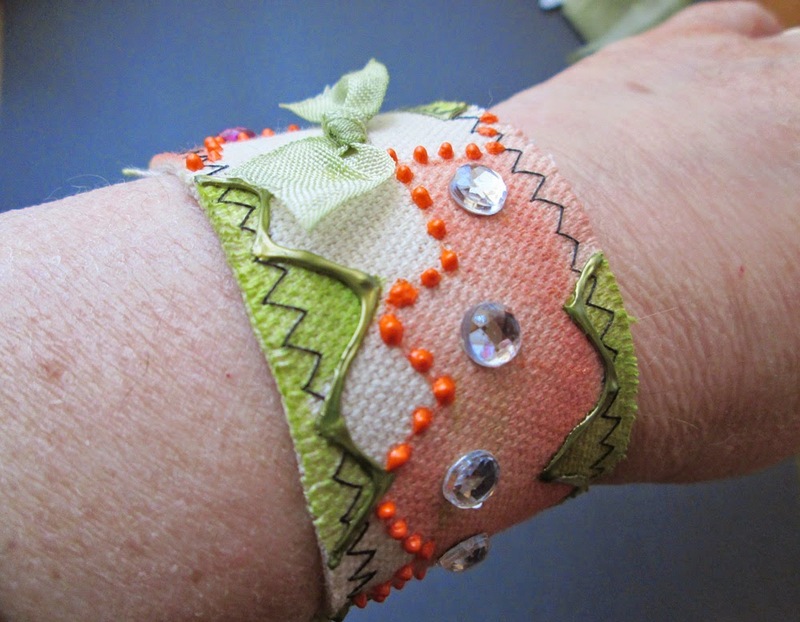 The Linnie Blooms Canvas Bracelet is a breeze to make …and a definite conversation stopper. 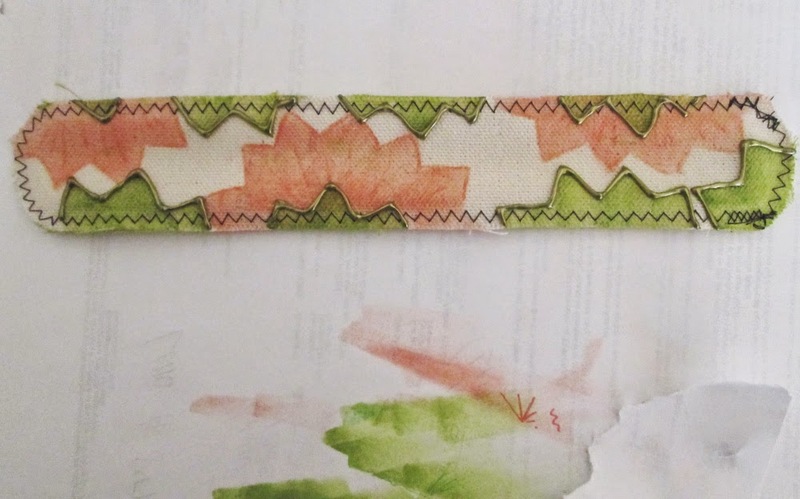 No sewing is required because Linne Blooms has already added the stitched edges for you! Using Linnie Blooms stencils, simply sponge with ink, embellish with dimensional fabric paint and bling with gems and Shabby Chic trim! It is that easy. 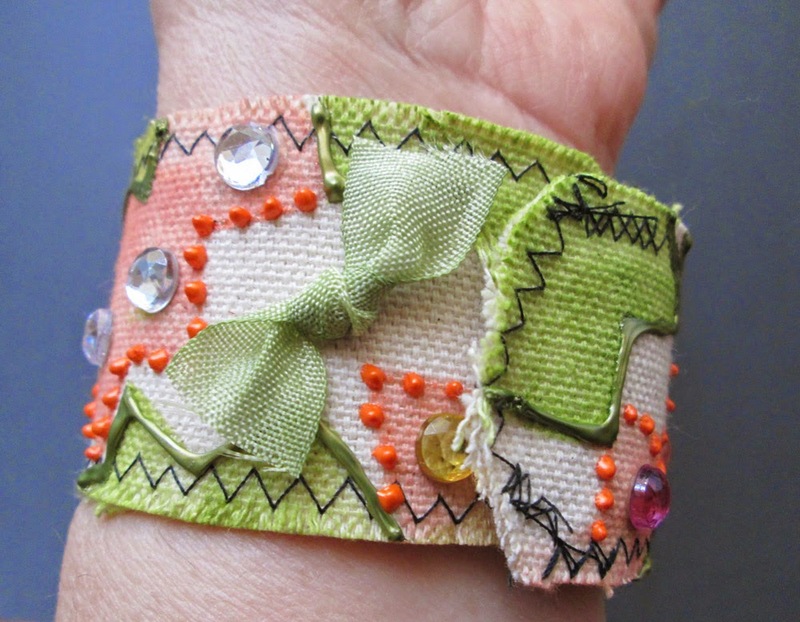 This would make a spectacular gift for Mother’s Day, as well as the perfect Scout, sleepover or birthday craft project. 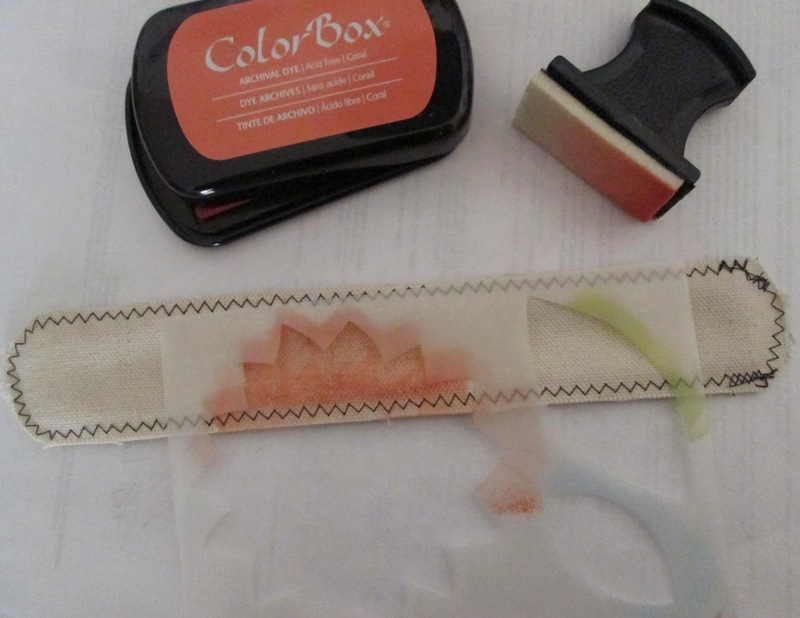 Using the Bloom Stencil and Color Blender, sponge Coral ink inside flower shape. 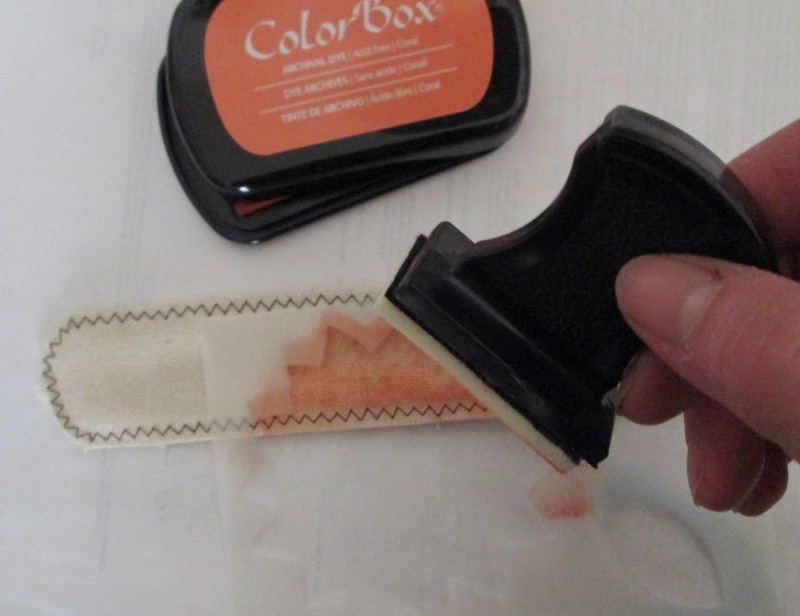 Repeat this step three times along the bracelet edges, as shown. 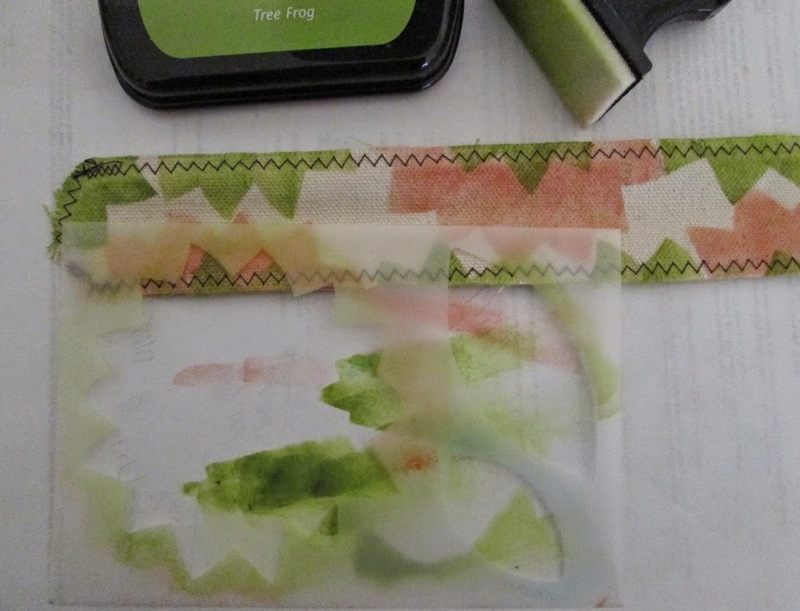 Repeat Step 1 with Tree Frog ink until all edges have been filled in with shapes. Dry. 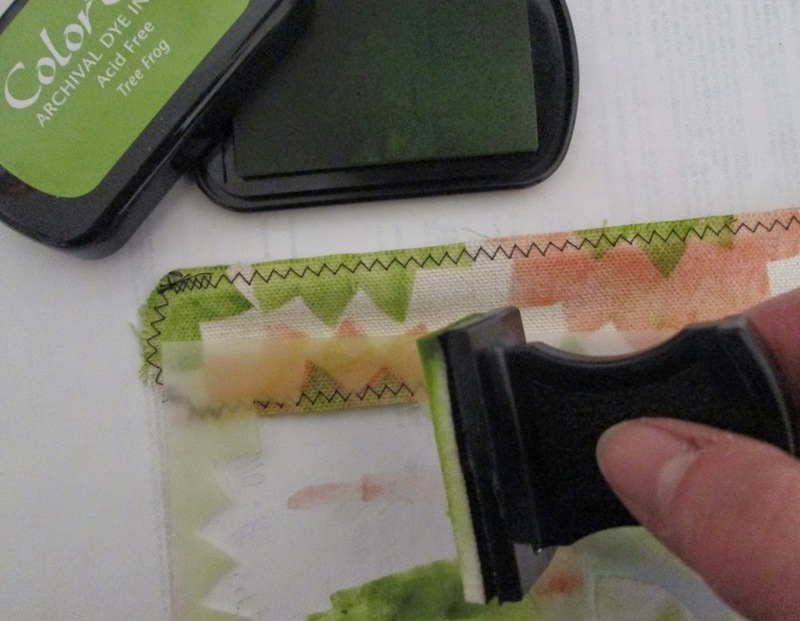 Using dimensional paint, draw green outlines around green leaf shapes and outline coral dots around coral flower shapes. Dry completely. Cut two 3” lengths green Shabby Chic trim and tie into small bows. 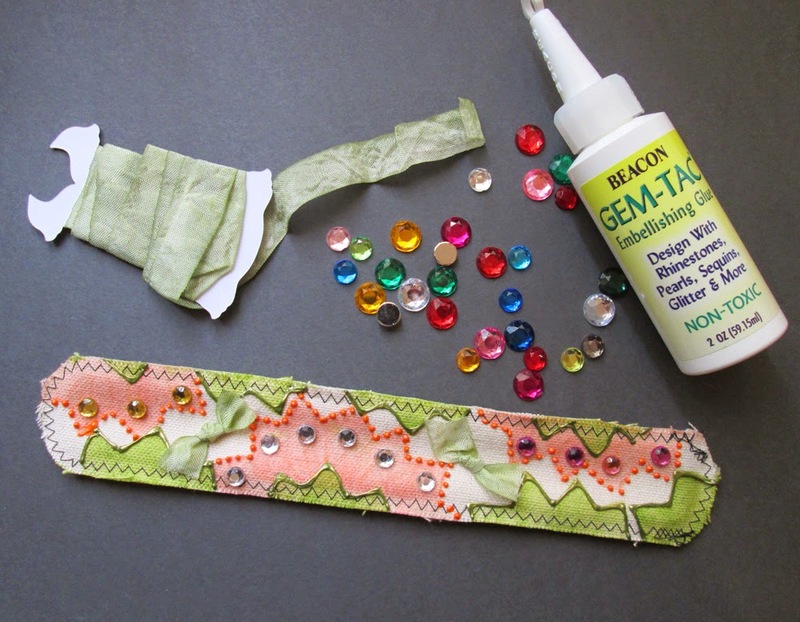 Using Gem-tac® Permanent Adhesive, attach gems (or beads) and bows onto bracelet, as shown. Dry completely.